Susan Daitch is the author of two novels, L.C. (Lannan Foundation Selection and NEA Heritage Award) and The Colorist; and a collection of short stories, Storytown. 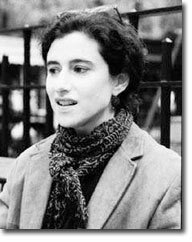 Her work has appeared in The Brooklyn Rail, Bomb, Ploughshares, failbetter.com, Tinhouse, McSweeney's, The Pushcart Prize Anthology, and The Norton Anthology of Postmodern American Fiction. Her work, along with that of William Vollman and David Foster Wallace, was featured in The Review of Contemporary Fiction. She teaches at New York University and Hunter College.